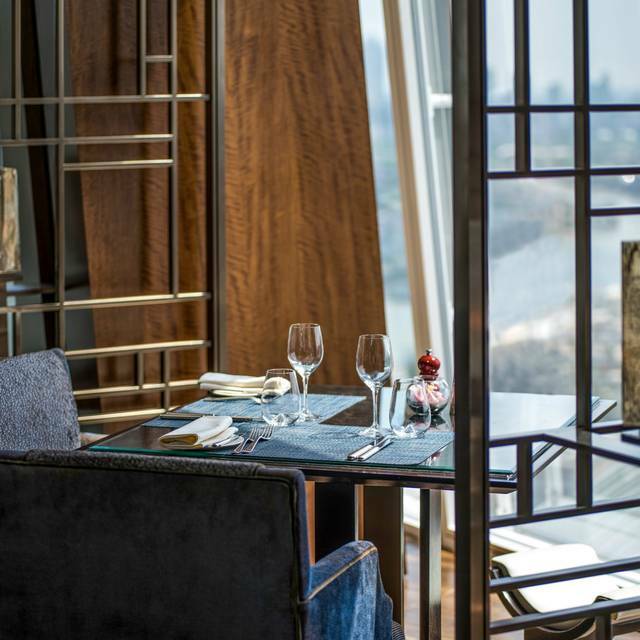 TīNG, named after the Chinese word for ‘living room’, is the collective name for the restaurant and lounge on level 35. 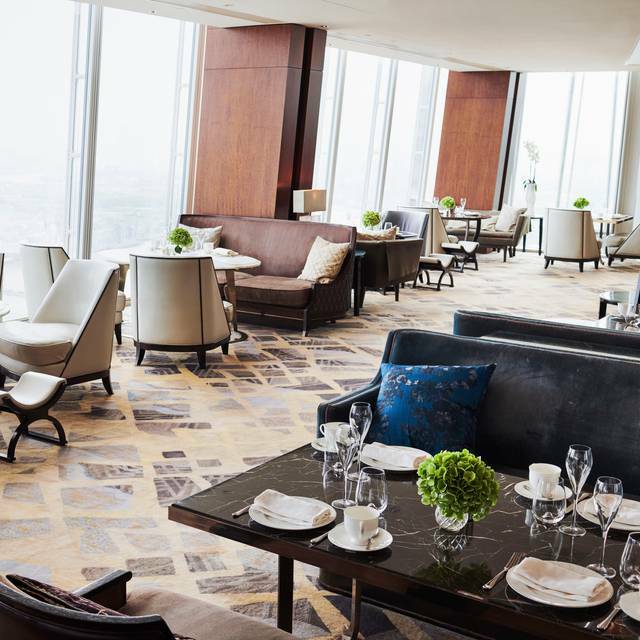 Situated 128 metres above ground level, the vibrant space will showcase sweeping 360-degree views across the capital. 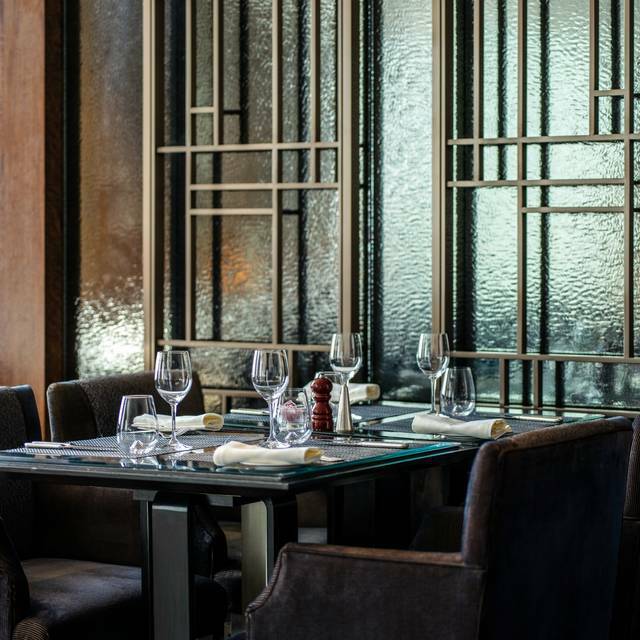 TīNG restaurant presents a modern European menu with subtle Asian influences, made using locally-sourced ingredients and served within an elegant and contemporary setting of Chinoiserie design. 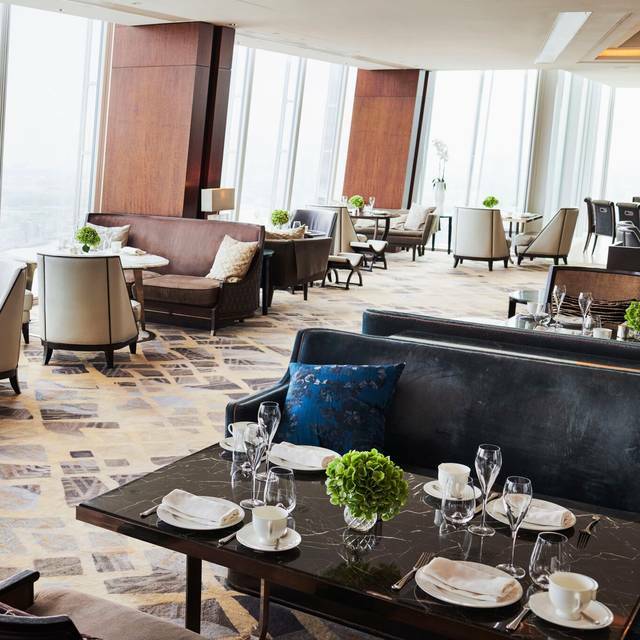 Meetings and events at Shangri-La Hotel, At The Shard, London offer a London venue experience like no other. 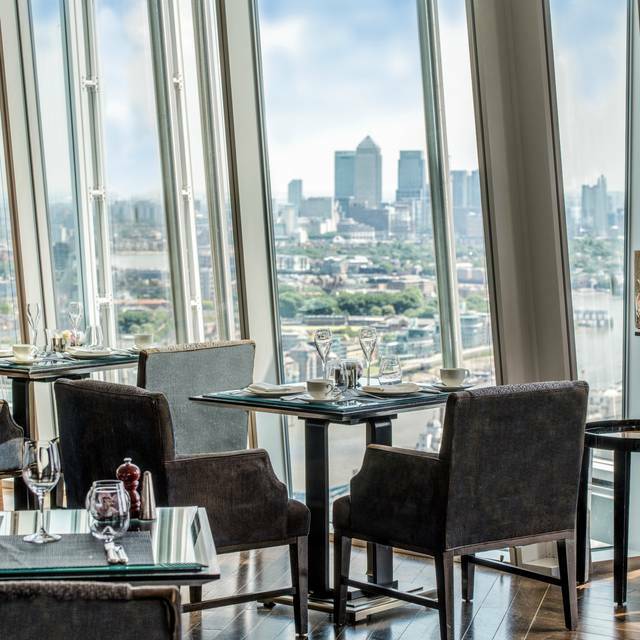 Our three river-facing banquet and conference facilities boast a dramatic backdrop of one of the world’s most famous cityscapes with floor-to-ceiling windows. Staff was very friendly and professional. We particularly enjoyed the beef tartar from starters. The lamb and sole we had as main were nice. I did not like the Mille feuilles desert but I am difficult to please with any desert. Overall we were satisfied with the experience, the view was amazing. Everything was very nice and the view spectacular. Glad the weather was so lovely! It also helped that it was mid-April and we got to see the view in sunlight, at sunset, and after dark. The variety of light was what made the view so interesting. Of course, it was very expensive, so one needs to bear that in mind. It was a special treat. I have been to many of London’s posh restaurants for various special occasions but this one for my husband’s birthday was an absolute disappointment! I went to celebrate my birthday with my brother and mother. Although the ambience was chilled the food was mediocre. The restaurant indicted a Chinese themed menu however, with goats cheese tart and steak tartar for starter and new potatoes, green beans , French fries and tandoori cabbage for sides, there was a huge lacking of Chinese influence. Wine glasses were left empty on several occasions and staff needed prompting for them to be topped up (the bottle was kept away from the table so we could not top them up ourselves.) The views were nice but the service was poor given the amount of money spent. Also the food came out was room at room temperature/cold. The Bass was overcooked and dry. Disappointed in the menu, the execution of the food and the service. Excellent choice to enjoy the view... the rice is spectacular! Initial greet was very good, ordered our drinks, no sign of the sparkling water, asked again, never arrived. We then seemed to be pretty invisible to service, 2 hours later after 1 course we’d all pretty much had enough and didn’t want to risk the chance of another long wait for dessert. Food was amazing , along with the views but we didn’t feel valued as a diner. The view here is amazing. However the food and service were disappointing. The menu is unexpiring and the staff were overstretched and inattentive and so stuffy they were bordering on rude. Overall ambiance is what I will come back for. Food was decent. We had great service until the restaurant got busy and then we were forgotten. We waited for dessert/pudding for over half an hour. So, we decided to leave. But do not order the 5 course tasting menu. Combinations not good, 5 dishes of meat, no vegetable or starch plates for variety. And some of the ingredients seem to be off, smells a bit rancid, meat tough or undercooked food. Not a nice meal at all. A huge thanks to Carlos, Helga and their fantastic team to making our day yesterday! We came to celebrate my girlfriend’s promotion. Her family came to visit London for the first time! When we arrived, we were welcomed by a young lady who is the Head Hostess. She always does her very best to accommodate us in a table by the window. There isn’t another restaurant than can be compared to the Ting Restaurant. I’m a very regular guest in this place but every time it’s better than the previous visit! Starting from the quality of the food, the new breakfast buffet with plenty of choices, professional and well trained staff, make me think that so far there’s no other place I would go to instead! I’ll definitely recommend this place to everyone! Well done again and see you again guys soon. A good place to dine overall, though compared to my first visit I was rather disappointed by the service on this occasion. Our seats were not very clean and I had to dust off the debris of food dropped by the previous guests by myself. The service was rather slow - after we placed the order the mains were delivered 20 minutes after we had finished the starters. Following that we asked for the dessert menu and it took 15 minutes to receive that as well - we had to remind the waiter to bring it to us after 10 minutes of waiting. Having booked and left credit card details, I was somewhat surprised to get home to an answering machine message two days before the date asking me to ring back to confirm my booking, which I found stressful as well as distrustful. But after that everything was perfect. We had a good view (although that isn't guaranteed), the service was effortless, and the food was good (as of course it should be at those prices). Amazing, staff went out of their way to ensure my partner and I had a memorable experience celebrating his birthday. Thank you!! My daughter and I had dinner at Ting during our birthday holiday in London. It was a beautiful way to spend the evening. The view was spectacular, staff were thoughtful and the food was delicious. When making a reservation try to secure a window table if possible. 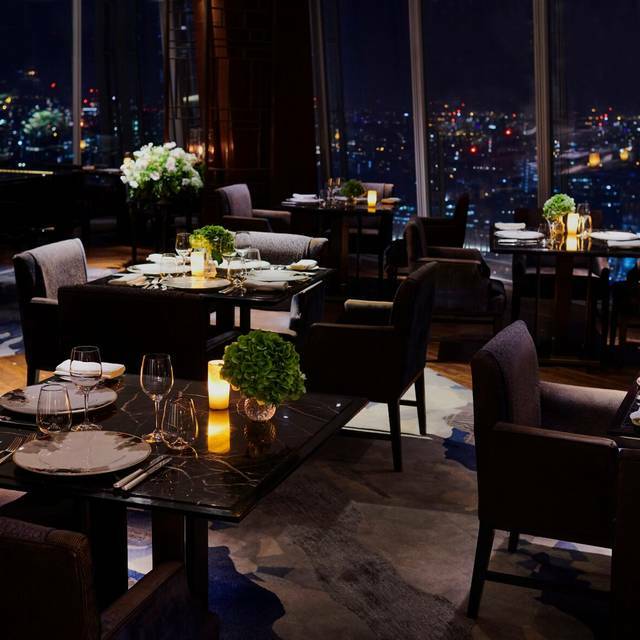 Very good value for money, perfect setting for a romantic date with your loved one. From the second we entered the Shangri-La we were made to feel special and valued. Food was amazing, staff friendly and attentive. A wonderful evening with great views of our beautiful city. Despite this being a special birthday meal (50th) and booking it up ages ago and asking for a table with a nice view we were put right down at the end with a quite disintersting view which was most disappointing. The food was not great either with not great choices. One of the starters (duck liver) was too salty and had to go back and the other (crab) was fine until it was drenched in a green sauce all around which spoit it (would have been better in a pot on the side). For the prices both were poor with no money offer for these hassles. Choice of mains was limited but were ok but not worth what they cost. On the plus side there was a nice plate for desert with happy birthday on it. 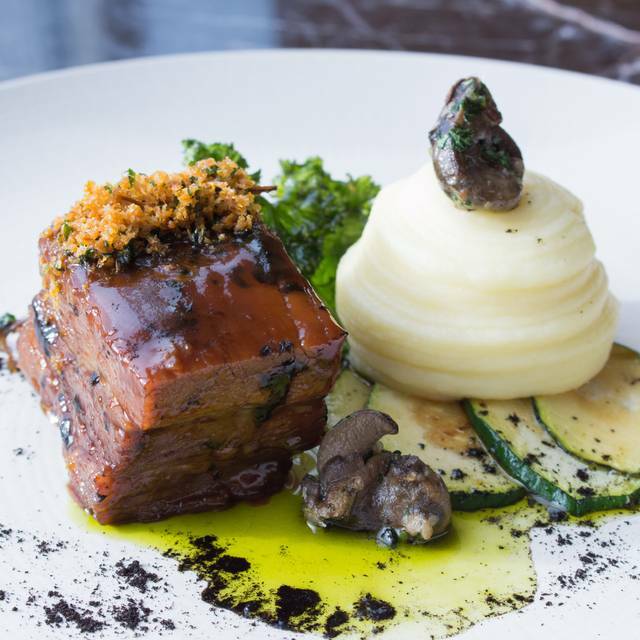 You need to be aware that a late night dinner can only be had with the lounge menu but that should suffice as you're there partly for the ambience looking all over London. Very beautiful place and we had a great seat with a lovely view, the food was good and you get a generous portion but the service wasn’t great. The cost was not worth it. The food was OK - chicken was dry, nothing memorable or special. The service was bad - very slow service; the customer service from the staff was not top quality. I had higher expectations for a restaurant like this. Will not come back. A superb meal and wonderfully attentive service. It is expensive but sometimes you pay for what you get! Good place for breakfast / bruch with a wide and varied selection of options (even for a lactose-intolerant vegetarian like me). Staff was warm and friendly (can't remember the name of our hostess but she is a master in all kinds of teas - she was simply devine). Some of the guets were quite snobbish..but I guess that's what to expect when you dine there. The service are little bit slow. 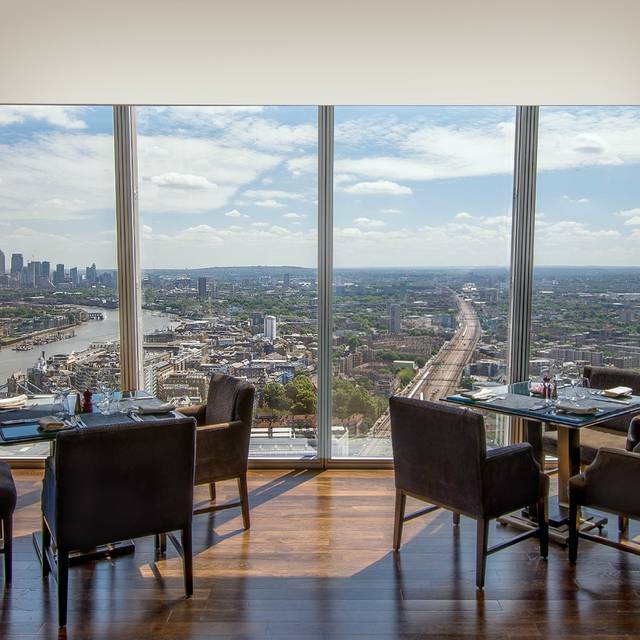 Quality of food served used to be an appealing distinction from the rest of the restaurants at The Shard. Unfortunately, it is not anymore based on my last experience there. The service there is amazing, they are always making sure that you are okay! Food was great, me and my partner did not enjoy the starters but the mains and dessert were delicious! They also had halal items for us. As it was his birthday they gave us a complimentary dessert which was really nice, we did get a window seat so the view was beautiful! Would definitely go again! What a lovely day out. The service was slow to start with and they soon made up for it by sending us free drinks. They gave us free refreshments at the end too. Views were amazing and the waiting staff were super lovely. The Shangrila even gave me a room to pray my daily prayer in. This is what you call service. I'd definitely recommend going here. I'll definitely go back again soon. Simply exceptional. Loved every minute and wouldn't hesitate in either recommending or visiting again. Great location but some table views better than others. Excellent food and enjoyed the experience. Will try an evening meal next time. 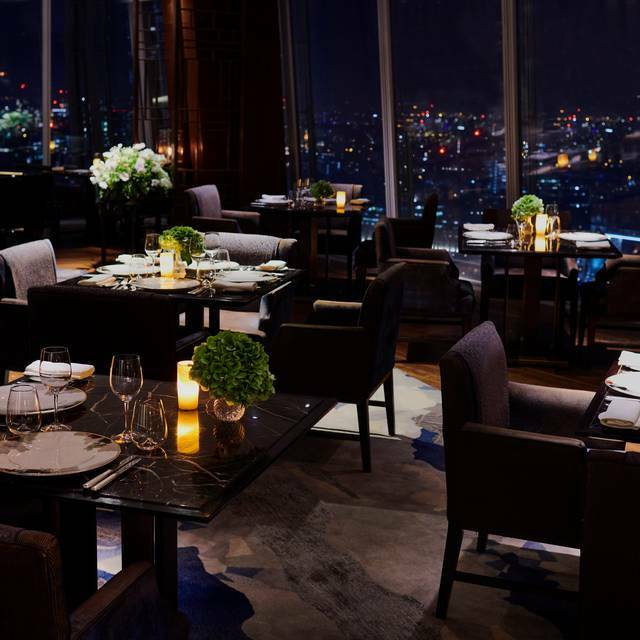 A restaurant with spectacular views where nothing is too much trouble. Food's great, wine's great, ambience lovely, views amazing - did I mention that..?